Today, Microsoft introduced a new lineup of devices that, together with Windows 10, give people the powerful, magical experiences necessary to do great things. Among these devices was the Surface Pro 4 which will be available in Singapore starting November 19. 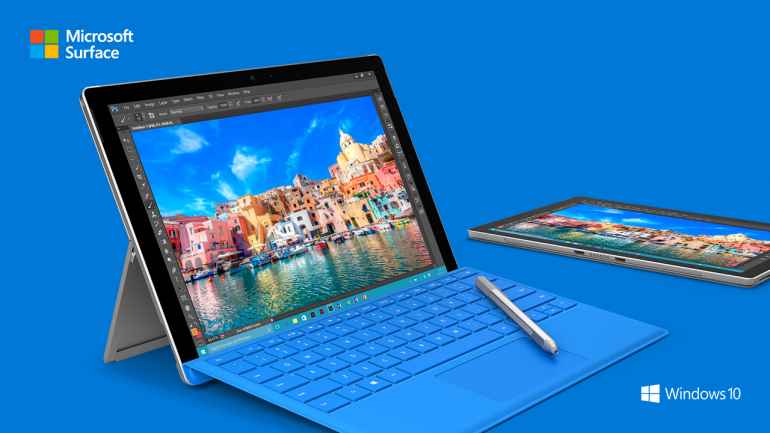 Pre-orders for the Surface Pro 4 will commence starting October 7 on the Microsoft Store. There will be a limited pre-order price period till 18 October 2015. Challenger, Courts, Harvey Norman and Newstead will also be conducting in-store pre-order programs in the coming weeks. Please check in-stores for more information. Local availabilities for the other devices announced will be shared closer to launch. Meet Surface Pro 4, the tablet that can replace your laptop. Featuring Windows 10 Pro, 6th Generation Intel® Core™ m, Core™ i5 and Core™ i7 processors, and a 12.3-inch PixelSense™ Display, Surface Pro 4 helps you power through everything you need to do. Starting at just S$1388, it’s thinner, lighter and faster than any previous Surface Pro model. Experience Windows 10. With full Windows 10 Pro, Surface Pro 4 is compatible with virtually all your favorite software. You can run apps and desktop programs like Microsoft Office side-by-side, and the enterprise-level security of Windows Hello helps keep your contents secure. Plus, full pen support and the redesigned Surface Pen packing 1,024 levels of pressure sensitivity enable you to write directly on Web pages in the Microsoft Edge browser with the click of a button.